Home » Blogs » Did the Last Farm Bill Really Save $100 Billion? Did the Last Farm Bill Really Save $100 Billion? "Farmers and ranchers understand the need to budget and save for hard times and have been willing to do their part. The current (2014) Farm Bill was expected to save $23 billion over 10 years, but the most recent Congressional Budget Office projections show that the 2014 Farm Bill is now on target to save $100 billion—more than four times what was anticipated." 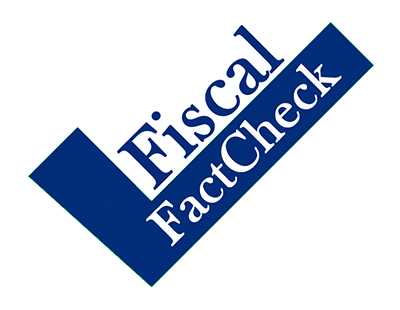 While it is true that total spending covered by the farm bill is lower than projected, we find the claim that the bill saved $100 billion to be false. The majority of reduced spending since 2014 appears to come from lower than expected average SNAP benefits – which is generally unrelated to the 2014 farm bill – and to get to $100 billion the committee appears to be extending the budget window beyond ten years. 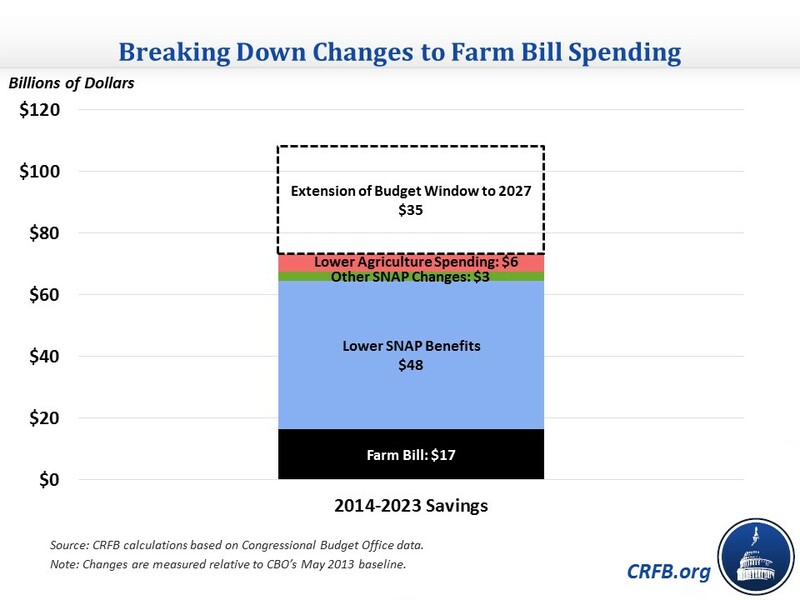 At the time of its passage, CBO estimated the 2014 farm bill would save $17 billion over ten years (2014-2023 at the time) – with roughly half those savings coming from reforms to farm subsidies and the other half from changes to SNAP. On top of that $17 billion of projected savings, farm subsidy and SNAP costs have fallen by an additional $63 billion relative to prior projections. However, it is hard to attribute much if any of this $63 billion to the farm bill. We estimate that $48 billion of the reduced costs are the result of lower average SNAP benefits. Prior to the farm bill, CBO projected average monthly benefits of nearly $137 per person in 2017; actual benefits totaled closer to $125. It is unlikely that much if any of the additional reduction in SNAP benefits resulted from the farm bill. The main SNAP modification in that bill wouldn't even save much more money even if the policy was taken to its extreme. Rather, the reduction in spending likely has to do with lower unemployment and higher income among SNAP beneficiaries than projected in 2014. We estimate that another $6 billion of savings comes from there being fewer SNAP beneficiaries than expected, but the farm bill didn't include any direct policies that would affect eligibility. After accounting for these changes, only $6 billion of farm subsidy spending and $3 billion of SNAP spending reductions are unaccounted for. In theory, this $9 billion savings could be attributed to the farm bill (increasing its total savings to $26 billion). However, at one point CBO identified lower crop prices and higher livestock disaster assistance as responsible for an $18 billion increase in farm spending – an increase that may have been in part due to the farm bill because it diverted resources toward crop insurance. This suggests that it's possible the farm bill saved less than CBO projected, not more. Importantly, even adding together CBO's total reductions in projected agriculture and SNAP spending only yields about $80 billion. While we don't know with certainty where the committee's $100 billion comes from, additional claimed savings may be the result of simply extending the budget window. Measuring changes in farm spending from 2014 through 2027 yields an extra $35 billion in reductions, but these reductions do not represent any extra savings – just extra years. (It is also possible they are simply shifting to the current 2018-2027 budget window, though by our estimate that would result in only $90 billion of savings). In sum, the committee claims that the 2014 farm bill saved $100 billion, but there is little evidence that it saved much more than the $17 billion originally projected by CBO. While it's true that total spending on agriculture and SNAP is roughly $115 billion lower than projected prior to the 2014 farm bill, most of those reductions have absolutely nothing to do with the bill, and many of them come from simply counting more years. Therefore, we rate this claim as largely false.